YouTube has launched its first subscription-only French content from Studio Bagel and Golden Moustache. Canal+-owned Studio Bagel’s is providing Groom, a comedy series of 10 episodes of 22 minutes that tells the story of a the owner of a luxury hotel who has to take up the role of a bellhop to avoid being disinherited. M6-owned Golden Moustache’s YouTube Premium offering is Les Emmerdeurs, a comedy about superheroes being enrolled in the French Resistance during the Second World War. YouTube is currently also preparing to launch its first Spanish series featuring Gael Garcia Bernal, along with other shows. The two French shows will be available in the 4K format in the 17 countries where YouTube Premium is already available. 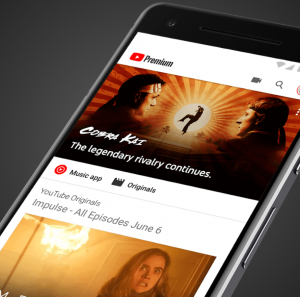 Separately, YouTube is launching a new gaming destination, featuring personalised gaming content based on users’ viewing habits, lists of top live games and the latest gaming videos from subscriptions. The new portal also features offerings from gaming creators who are on the rise and trending, with a new creators showcased each week. The new destination is currently available in the US, with launches in other countries planned in the future.